I’ve tried to grow dill in the past but overall have been disappointed in both the quantity of dill “leaves” available for seasoning as well as the relatively short harvest window in the north Georgia heat. Maybe I should have done some research before eh? Last summer’s attempt gave virtually no germination (it was perhaps late May when I planted and already quite warm.) In the same area the parsley germinated but it was sparse, even under a shade cloth tent. 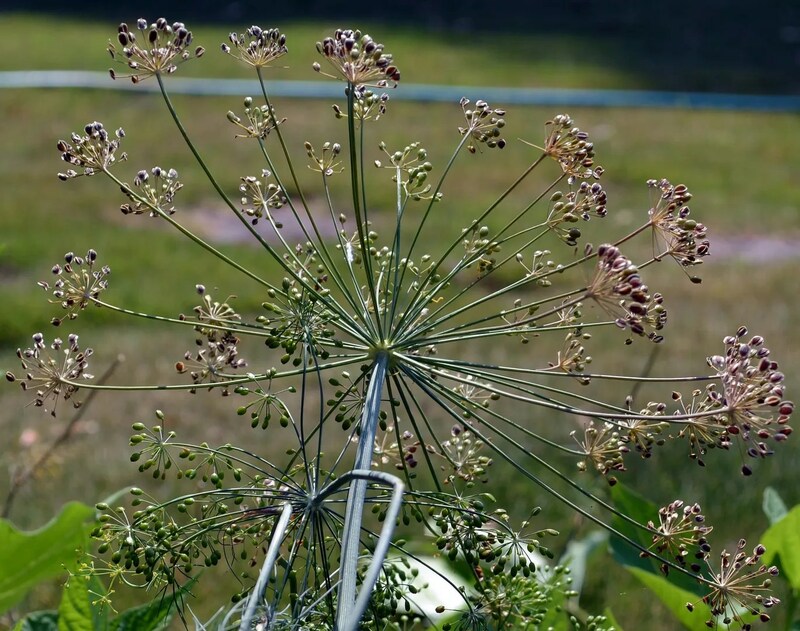 As the weather cooled in September and October, all those dormant seeds came to life and soon I had a large stand of flat leaf Italian parsley with a few hardy dill plants along and in the edge. 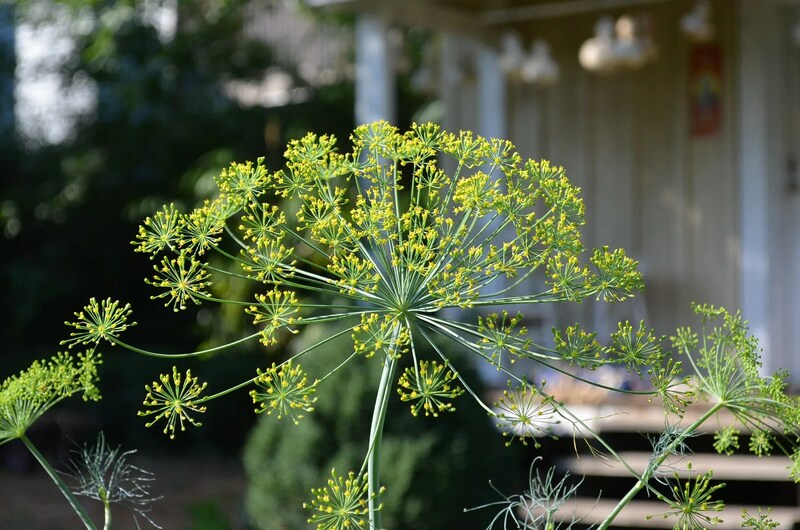 The dill has bolted as well and when I passed the tiny yellow spreading “fireworks” type flowers the other day (see below) I caught a bit of the greatest dill aroma I have ever smelled. First, the “weed” or leaf part is used for seasoning and pickling etc as I thought. Examples: a little with butter on new potatoes, on baked salmon. Second, the “seed” part, is also used but it has a slightly different aroma/flavor and is used more often than not in different applications. Actually, the spice of the seed isn’t just the “seed”, instead it is the whole “fruit” or husk that is left behind by each tiny bloom with a seed buried inside. 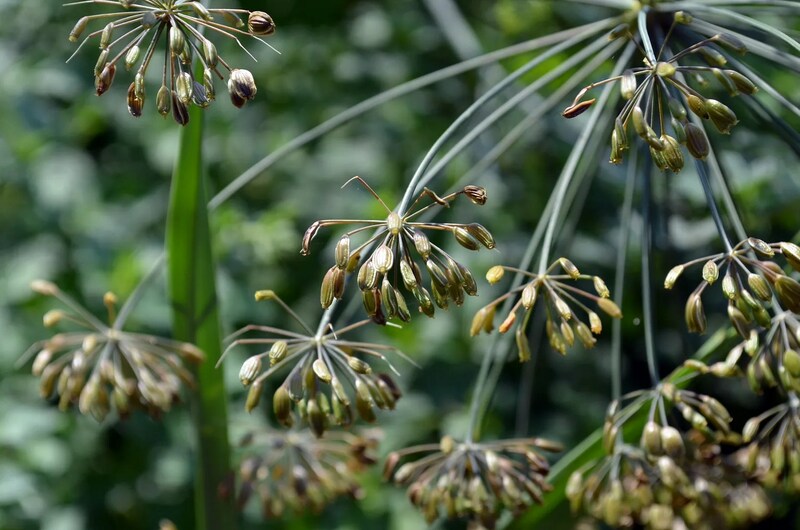 It has a stronger flavor/aroma than the leaves but is slightly different, similar somewhat to caraway seed. 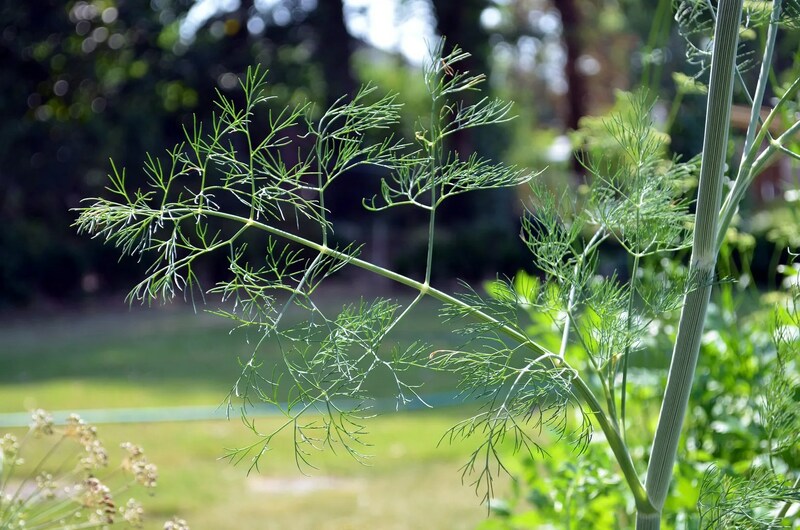 The elves of Google find several baking and soup recipes listing dill seed as an ingredient; I will experiment with breads, maybe substituting the dill for caraway in a rye recipe? perhaps I’ll pay homage to James Beard and try this knarly sounding cottage cheese/onion/dill bread. So what is the point of this rambling post of an herb most cooks already know and use? Well it’s nice to know I’m not the only one it goes to seed quickly for!